If you read my post back in September, you will know I am an OCDO/FMLM Clinical Fellow based at NHS England part time... but what does that mean day to day? My fellowship is based with NHS England in the South East. I will be blogging about the role of NHS England and it's structure soon so look out, but basically South East covers a huge area from Kent across to Oxford and the Isle of Wright! 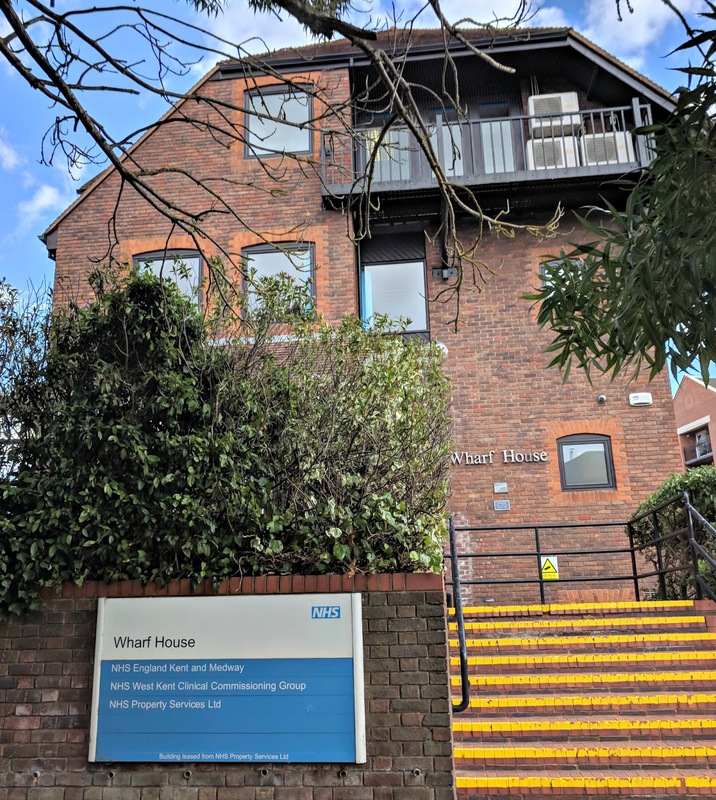 My regional offices are Kent, Surrey and Sussex where the dental team are mostly based in Tonbridge (which is pictured above), but we have offices in Horley and Lewes too where I may be if I have meetings. It would also be I have meetings or training in London, Reading or other venues across the South East! So it does involve a lot of travelling. On the flip side, if I don't have any meetings I can work from home - especially in the case of the snowy weather the other week! What projects am I involved in? My fellowship is part-time with half the week being employed by NHS England (the other half I do my StR training in Special Care Dentistry). I compress this into 2 long days, so I can't take on too many projects! As well as learning about the general functions of NHS England the 2 projects I work on are procurement of general dental services in Kent Surrey and Sussex and the procurement of the community dental services across the whole of the South of England. This has involved adhering to statutory requirements for procurement, the writing of service specifications, patient and public engagement as well as learning about the tendering process and evaluation of bids. Having a completely office based job has been a bit of transition and learning curve for me - learning about hot desking, Gantt charts and taking minutes! I will blog about this soon! As well as office life, as an OCDO fellow we have days organised by the Chief Dental Office. These can be learning about the role of Sara Hurley and her team, but as part of the fellowship, each fellow hosts the others where we learn about the role of each of the host organisations such as Health Education England, NHS BSA, the General Dental Council. I will blog about each of these days soon too (so many blogs to get done!). More events to attend! The Faculty of Medical Leadership and Management also hold training days and events on leadership in healthcare. I really enjoy these days as we get to mingle with the fellows in medicine and pharmacy. Social events are also organised where prestigious speakers come to speak to us - most recently I was at a dinner with Sir Sam Everington the chair of the CCG in Tower Hamlets. Overall I really enjoy my fellowship, it's an excellent opportunity to learn about how the jigsaw that is our health care system fits together and I get to network with so many people across the system and not just dentists! If you are interested in applying look on the FMLM website where the applications should open at the end of the month. Are you interested in the fellowship? Do you have any questions? Let me know in the comments below!